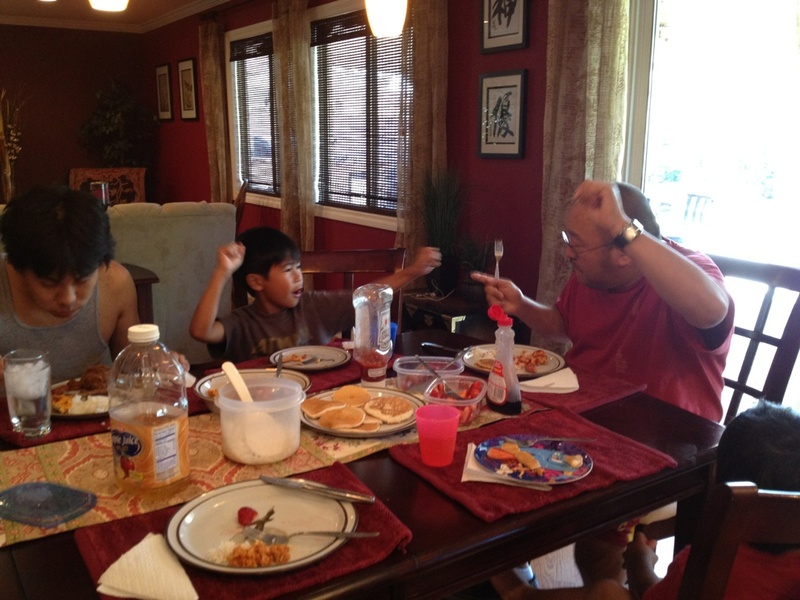 My adorable grandsons (DeeJay, age 8; Aiden, age 4) came over for breakfast this morning. 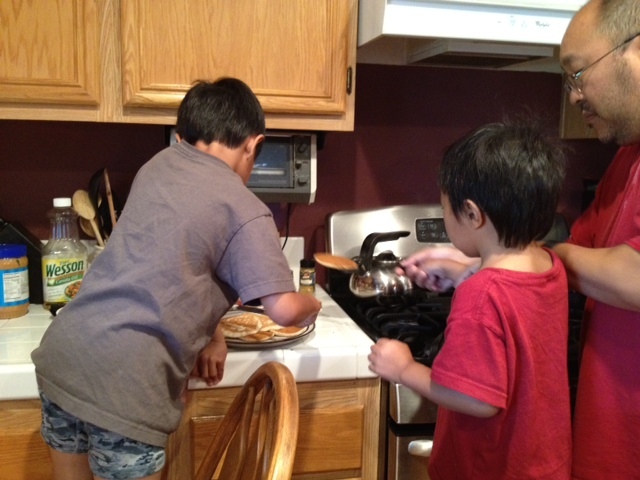 As is our tradition, I made “Grandpa’s Epic Pancakes.” Actually, the pancakes themselves are not so epic (just a cup of Krusteaz and water), but it’s how we make them – together, as a group project. They pull up a chair to the oven griddle. 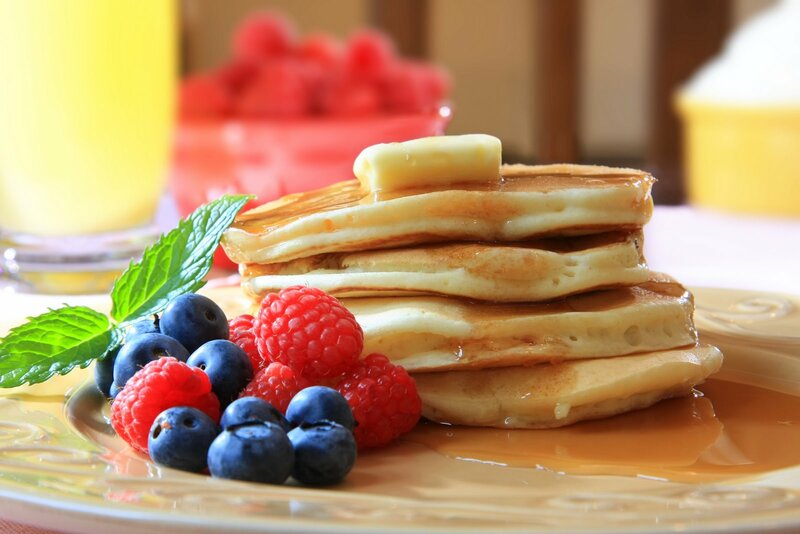 I pour out the pancake batter into fine, round circles. DeeJay flips the pancakes. Aiden butters the pancakes. Voila! Epic Pancakes. Add a few little smokies, some chopped strawberries, and you have “Epic Breakfast” with Grandpa Doug and Grandma Letty! Love the story!! Told the girls Uncle Doug blogged about DeeJay and Aiden, so of course they wanted to read it too. So tonight I asked them where did the ribs come from?? And guess what they said 😃. Thanks for sharing a lesson for everyone of all ages to understand. May we always remember to give thanks to our Father who always provides! Great blog Doug. You’re doing a good job with keeping the blog going.